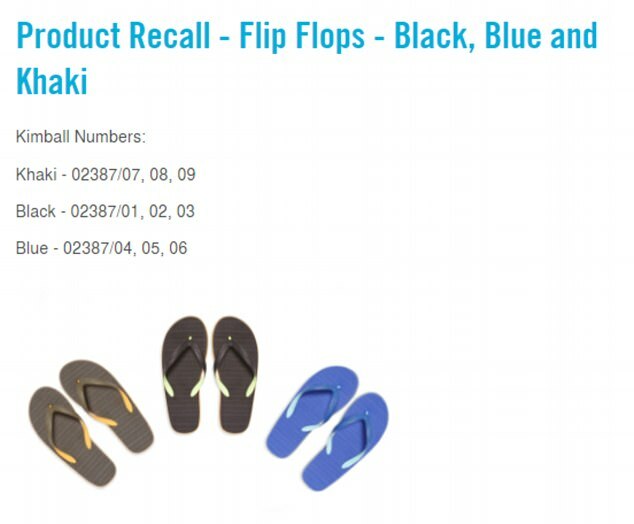 Primark recalls thousands of men’s flip flops over fears they could cause CANCER | Welcome to Dare Lasisi's blog! Primark is recalling thousands of men's flip's flops after it was discovered they contain unsafe levels of a cancer-causing chemical. Three versions of the Cedar Wood State footwear are affected by the alert, which had been on sale until June 2. The cause for concern is the presence of a chemical called chrysene, which studies have found to cause cancer. 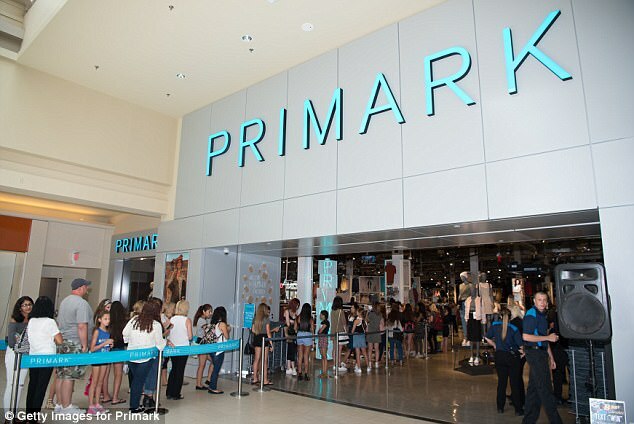 Primark has halted all orders with the factory ahead of an investigation. A Primark spokesman said: 'We take the safety of our customers, and the quality of our products, very seriously, which is why we have chosen to recall three men’s flip flops from our Cedar Wood State range. It is the third product recall Primark has issued in less than half a year. 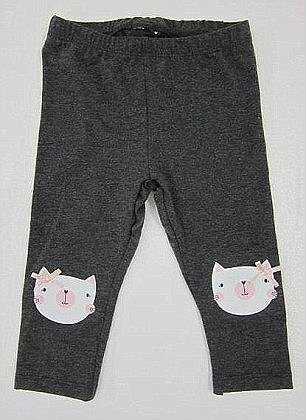 It comes after the clothing giant recalled pairs of 'novelty' cat leggings for children, over fears they were unsafe. The potentially dangerous grey leggings - emblazoned with cat faces on the legs - were on sale in UK stores between November 8 last year and February 22 this year. The company confirmed a bow attached to the leggings was a potential chocking hazard if it were to become detached from item. And in February, Primark pulled a range of The Walking Dead t-shirts from its stores after complaints of racism from customers. 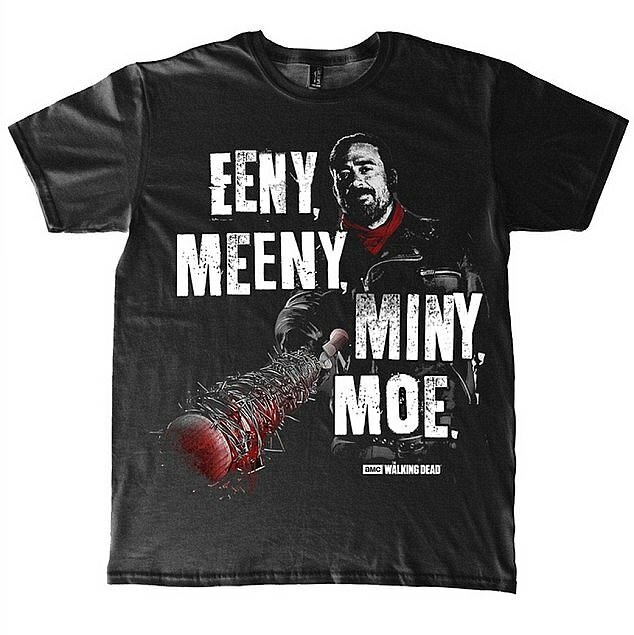 The t-shirts show the American TV programme's latest villain Negan holding a bloodied baseball bat wrapped in barbed wire, which he uses to smash his victim’s heads. The rhyme 'Eeny, Meeny Miny, Moe' is written on them. Before killing long-standing favourites Glen and Abraham, Negan - who leads a gang called The Saviours - decided on who to slaughter by pointing to his victims one-by-one with the baseball bat, while saying 'eeny, meeny, miny, moe, catch a tiger by his toe'. But after Sheffield couple Ian and Gwen Lucraft spotted the t-shirt in a Primark store last week, they complained to bosses that it was 'offensive'. Methodist minister Mr Lucraft said the 'Eeny, Meeny, Miny, Moe' rhyme was racist as it was well known that the rhyme went on to say 'catch a n***** by his toe'. He also said the bloodied bat was offensive, adding: 'We were shocked when we came face to face with a new t-shirt with a racially explicit graphic and text. Primark later removed the product from sale. A spokesman said at the time: 'The t-shirt in question is licensed merchandise for the U.S. television series, The Walking Dead, and the quote and image are taken directly from the show.